For all trips, space is limited. We will then reply with availability and pricing information. If you wish to proceed and book the trip, you will need to fill out and sign a Registration form. To receive a Registration form, reply with your Number of Travelers. You can reserve your trip over the telephone with a credit card, but you still need to complete a booking form. We accept payment by credit card, debit card, PayPal and Bitcoin. US citizens require a valid passport to travel to Europe. Do I have to attend the tours offered in the travel packages? No. All tours are optional. You can attend all, some, or none of the tours - you're the boss. You decide how much free time you want. The types of cards we accept are MasterCard, Visa, American Express and Discover. Bank transfers are possible via PayPal. Echeck option with PayPal is NOT accepted. PayPal is an eBay company that is essentially "the bank of the internet." PayPal is a fast, easy, and secure way to send money over the internet. With PayPal, you can use a variety of payment methods, such as direct deposit from your checking or savings account. What is the cancellation policy for a trip? It depends on the trip. Some trips have a refund schedule if you book early. Since cancellations are costly for all parties involved, on some trips all sales are final. If you have any concerns, companies such as Travel Guard offer travel insurance in the event of trip cancellation, medical needs and other trip interruptions. You can also search for travel insurance on sites such as Google and Bing. Which airline and hotel will I have on my trip? 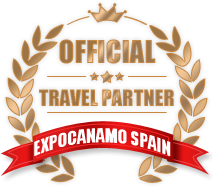 We use all commercial airline carriers and numerous hotels for our travel packages. If you wish the lowest rates possible, we offer a Standard Package for all our trips which includes airfare and hotel that we select a couple of weeks before departure. This extra time gives us maximum options - such as openings due to cancellations - and the savings are passed on to you. Many hotels in Europe have a bathroom shared by several rooms. However the hotels in our Standard Package feature private rooms with private toilet and shower (See Example). Upgrade to 4 or 5 star hotel is available. For very budget-minded folks, shared-room hostels are also possible. If you wish to have the name of your hotel settled immediately upon booking or you have a specific hotel in mind, these options along with any other desires you may have are available at additional cost. US citizens require only a valid US passport. To obtain a US passport, please visit US State Dept. A U.S. PASSPORT MAY NOT EXPIRE FOR AT LEAST 90 DAYS AFTER THE END OF YOUR TRIP. Non-US citizens may require additional documents such as travel visas. Travelers are solely responsible for providing all necessary documents to enter Europe. My U.S. passport expires soon. Can I still take a trip to Europe? Rules regarding US passports are subject to change at any time. For the most up to date information, please visit US State Dept. There are many different situations regarding passport renewal. For questions specific to your situation, you can also call the National Passport Information Center at 1-877-487-2778. I never had a U.S. passport. How do I get one? To obtain a US passport for the first time, please visit US State Dept. What is the itinerary for The Amsterdam Cup? The Amsterdam Cup is a locally organized cannabis consumption event in Amsterdam Holland each November. 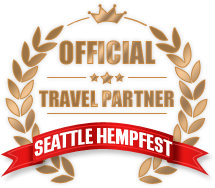 It takes place during the week of Thanksgiving, with awards presented for the best cannabis products in the region. After High Times canceled their Amsterdam Cannabis Cup in 2015, the cannabis coffeeshops in Amsterdam filled the gap with their own event and they're basically following the same format. It's a natural transition since the coffeeshops were always the most integral part of the High Times Cannabis Cup. The locally produced Amsterdam Cup is more intimate and not as commercialized. In 2015 High Times canceled their Amsterdam Cannabis Cup late, but new organizers still managed to stage an event with little time left. Thanks to them, the tradition started way back in 1988 of an annual fall-time cannabis event in Amsterdam continued. However for the first time in 31 years, a Thanksgiving-time Cup did not take place in Amsterdam in 2018. The entire nature of the event is a very fluid thing with potential changes always possible, as is the case with all cannabis consumption events across the world. For example, High Times has canceled many of their Cannabis Cups in recent times due to permit issues with local authorities. For many years now, during the week of the American Thanksgiving holiday, the Dutch capital becomes a cannabis connoisseur's dream. The Cup usually consists of several parts spread around town, such as music shows, parties, events and coffeeshop crawl, where attendees visit the participating cannabis coffeeshops at their own pace to try out the various cannabis entries in the Cup. Attendees purchase a Judge's Pass (included in our travel package) to participate in all the fun. The best part is cannabis smoking is openly allowed for all adults at all the Amsterdam Cup venues, unlike USA-based Cannabis Cups. A vendor expo was part of the High Times event, but this caused problems because the authorities didn't like the expo (perhaps the business-minded Dutch didn't appreciate the lost revenue to local businesses)? To avoid such problems with local authorities, the new organizers don't have a vendor expo. Additionally, there are nearly 200 cannabis coffeeshops in Amsterdam to check out that aren't even participating in the Cup. And if that isn't enough, many other cities in The Netherlands also have coffeeshops. The music shows during The Amsterdam Cup typically run nightly for attendees with a Judge's Pass. Cup attendees are encouraged to visit the participating coffeeshops (usually around 1-2 dozen coffeeshops participate) and try out the products entered in the Cup and rate them. Although attendees must pay for the cannabis products they wish to try out, some of the coffeeshops and sponsors sometimes give out free samples or special deals to Cup attendees. Participating coffeeshops and sponsors have also been known to hold special events and parties for Cup attendees to attend. There is usually quite a lot going on during The Amsterdam Cup, as well as before and after the Cup. Regarding the exact itinerary of events for this year's event, the finalized information is typically announced by the event organizer a couple weeks before the Cup. And things like impromptu events and parties organized by cannabis coffeeshops usually get announced once the Cup starts. Details tend to be released later rather than sooner by event organizers (we're dealing with cannabis enthusiasts after all). Please note that we at Amsterdam Trips Llc simply provide travel packages and have no involvement in the operation of the event. As is the case with all cannabis events held everywhere around the world, gray areas exist in the implementation of local cannabis laws which have the potential, however unlikely, to cause interference with this event. CLICK HERE for info on our trip to this year's Amsterdam Cup.